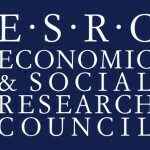 Dr Laura Langner has been awarded a Future Research Leaders grant from the UK Economic and Social Research Council (ESRC) to work as a Principal Investigator on the project ‘What Makes Dual Career Couples Work?’. The project, which started in January 2016, analyses how couples’ careers evolve across welfare states and time using quantitative and qualitative research methods. The project will bring together academics, practitioners and representatives from international organisations. The Future Research Leaders scheme is designed to enable outstanding early-career social scientists to become the future world leaders in their field.